The Journey From A Homemaker, Professor To IGT Fame - Ragini Makkhar Does It All! With an arch of an eyebrow and subtle gestures, she told stories and won hearts. She lived her life like a candle in the wind yet she beamed vibrantly like a diamond – She is Ragini Makkhar the queen of Mudras, Bhavas and Abhinaya. The year was 2014, and in a life-altering moment, Kathak dancer Ragini Makkhar and her group from Naadyog Academy were declared the winners of India’s Got Talent’s season five. On the night of the grand finale, the world sat up and witnessed the talent of Ragini Makkhar rhythmically synchronizing to the tunes of a famous Bollywood number ‘Pag Ghungro Bandh Meera Nachi Thi’ with her troupe of thirteen women. Born in Pune, Dr. Ragini Makhar moved to the commercial capital of Madhya Pradesh after she got married. Soon she began her Kathak training under Pt. Suresh Talwalkar and Shama Bhate. Afterward, she also had the pleasure of learning under the headship of Dr. Suchitra Harmalkar. Today, Ragini has evolved into a renowned name in the field of classical Indian arts and she holds the title of a revered Kathak guru in Indore. For more than two decades she has been leading ‘Naadyog’, an institution of dance and music education that works relentlessly to popularize the classical arts. Dr. Ragini is a distinguished member of the International Dance Council. She also continues to provide her worthful dance training to the students at Daly College. From a college professor in Indore who pursued her fervor for Kathak in her leisure time to winning one of the most prestigious titles on the small screen, Ragini’s journey is a mélange of passion, perfection and persistence. After bagging the title of IGT winner Ragini Makkhar and her troupe set out to achieve new heights and throughout their voyage the thirty-three year-old Kathakar is giving wings to the dreams of many zealous women who assumed the journey from a homemaker to a game-changer is a distant dream. “We have strived very hard to achieve this landmark and won the India’s Got Talent trophy. We cannot help but jump with joy at being announced as the country’s premier talent this year. It’s the team work and perseverance that has brought us this victory and, today, we are filled with pride to have received so much love and appreciation from audiences. My victory is a proof that there is still some hope for the traditional dance forms. Bollywood and western dance forms dominate the scene, but, Kathak is also in the main league of entertainment." The academy regularly hosts workshops conducted by prominent Gurus. Naadyog also assists in CCRT scholarship exam preparation. In collaboration with international Dance Council (CID UNESCO) the academy aims to provide performance opportunities on a global platform. Dr. Ragini’s vision behind her academy ‘Naadyog’ is to impart classical dance education to the youth while keeping up with the ethos of preserving classical Indian dance. 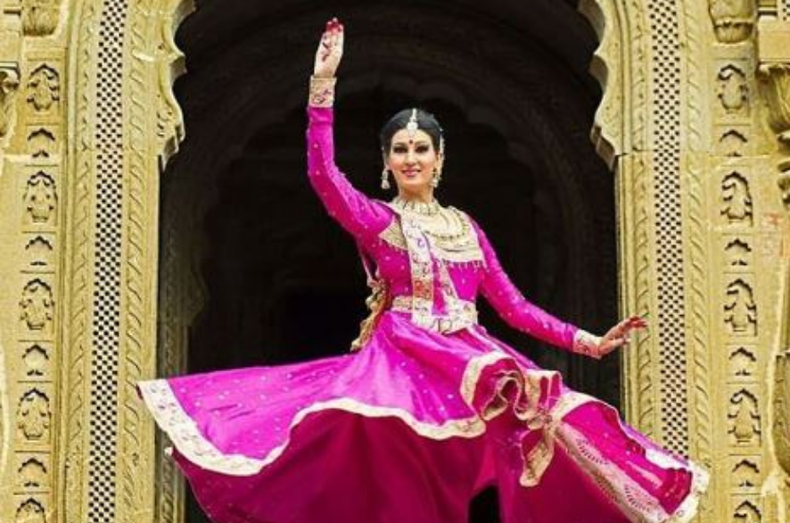 She aims to expand the audience base for the classical dance forms and is constantly doing research to explore ways in which classical dance can be used in education, rehabilitation, therapy and the like. With her trademark fusion choreography style “Chakravyuh” and her exquisite footwork the choreographer extraordinaire has weaved many stage performances and directed several plays. She performs independently and in group, at national as well as international level. With an unrelenting focus on her “SADHANA” Dr. Ragini is making Indore proud. Famous for its beautiful palaces, awe worthy temples and piquant street food, the city of Indore made its mark once again when Ragini Makkhar and her creative dance troupe took the city’s name to the global platform with their extraordinary achievement. We salute these SHEroes who broke down their barriers, challenged the norms and had the courage to step out of their cocoon and showcase their talent, ingenuity and art. With every dance move and stage performance, they are empowering women to dream big and reach for their goals. Enthused by these bold and beautiful Sheroes I leave you with these beautiful words…. har Raat Ke Peeche Ek Savera Hota Hai.